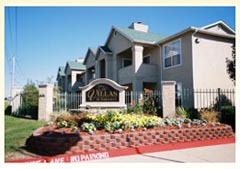 The Villas of Parkhaven is proud to offer beautiful and completely furnished apartment homes. These apartment homes come with high quality furniture and furnishings that you simply won't find in any local hotel and it is generally cheaper too! With many of the conveniences of home, plus saving money too, what's there not to like? * Average daily rate based on 30 days. Our furnished apartment homes not only come with what you would expect from a hotel, but much more to make you feel right at home. Water, trash and electric* utilities included in pricing. Basic cookware, bakeware and dinnerware. Washer and dryer set installed in apartment. * Electric utility paid up to only certain amount per month depending on apartment size. Please contact our office today to see what furnished apartment homes we have available for you!